Instead of just sticking with an existing design for a garage door, you have the option to design your garage door from top to bottom with Aaron Overhead Doors in San Jose and Monterey. Steel – known for their durability. Wooden – more of a natural look, but also very substantial. Wooden composite – a more environmentally friendly option, but still natural. Fiberglass – keep noise out and produce less noise. Glass – uniquely elegant design to accent your home’s exterior. We offer all different kinds of styles based on whichever material you decide to use. You can easily find the appropriate garage door style to match the overall style of your home. From there, you can specify details concerning additional decorative elements as well as the style of window you would prefer (or no windows at all). 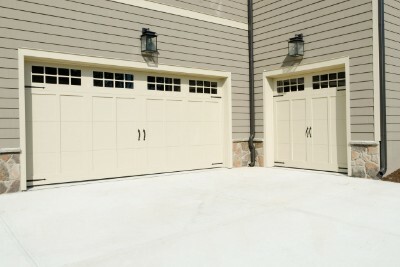 For more information on the different styles of garage doors we offer, click here. Once you’ve made all of your decisions, your custom garage door will be manufactured by one of our trusted brand dealers. Once it’s shipped, we will deliver and install your pristine new garage door with a new opener system to match! 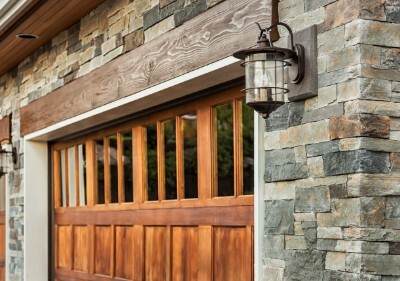 If you’re in the market for a custom garage door, give Aaron Overhead Doors a call today! 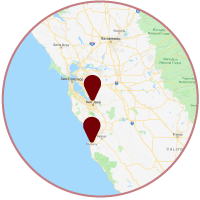 In San Jose, CA, call us at 408-684-6791; in Monterey, CA call 831-290-1765.